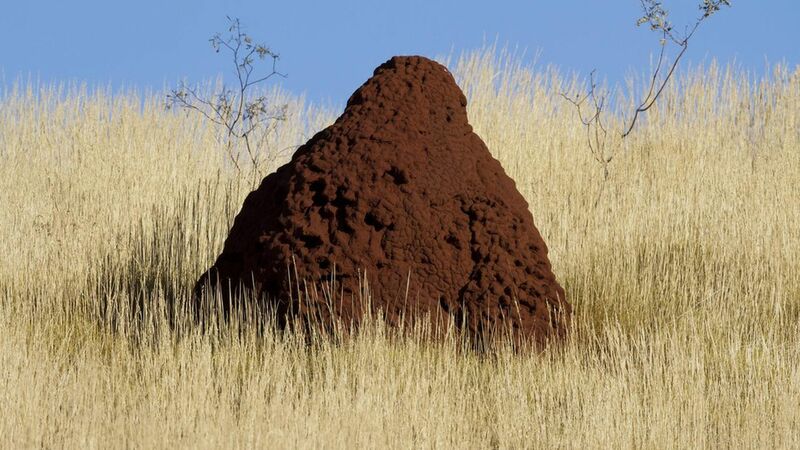 Termites, ants, and bees are known for the massive, complex habitats they construct for their colonies. Computer scientists from Harvard have cracked part of the code that lets termites build their mounds. By studying animal models like this one, published Tuesday in the journal Proceedings of the Royal Society B, scientists hope to develop better codes for robots. Why they did it: It's common for roboticists and programmers to look to nature for inspiration. Machines that work in groups face some of the same challenges that insects do, Ben Green, an author of the study and mathematician at Harvard, tells Axios. Green says that like insects, "each device only has a small set of knowledge, so they need to work together to find a solution." What they found: Past research has suggested termites coordinate building by leaving behind pheromones or chemical signals, and later deposit pellets of soil in the signaled areas. But in this study, the termites preferred to excavate where other termites were currently digging, and their behavior was focused around digging, not building. The researchers used their data to create a model that mimicked the excavation behavior of the termites. Follow the leader: It's still unclear how termites choose where to dig in the first place, says Green. But once one termite selected a dig site, the others quickly followed. How they did it: The researchers captured 396 termites of two different species, and used videos to track individuals as they constructed channels and walls in a controlled environment. "These groups are able to achieve incredible things," says Green, "far more than any individual would be able to do."